The Ultimate Ninja Training Manual (LEGO Ninjago) - Save 45%! 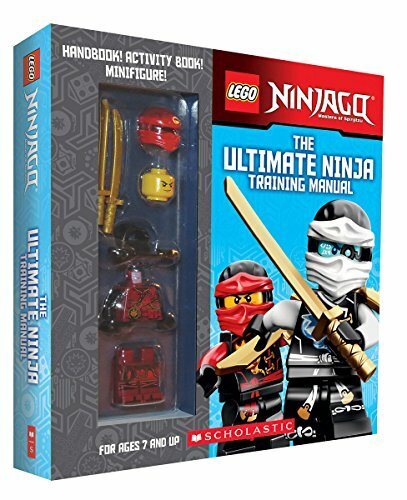 The Ultimate Ninja Training Manual (LEGO Ninjago) – Save 45%! Need a gift for a LEGO Ninjago fan? Hurry and get the The Ultimate Ninja Training Manual (LEGO Ninjago) today for only $6.01 from Amazon! Save 45% off the list price of $10.99. Amazon Prime members get FREE 2-day shipping!! If you are not a Prime member, get FREE shipping when you purchase $25 or more of eligible items across any product category. Check out The Ultimate Ninja Training Manual (LEGO Ninjago) details below. Just in time for the LEGO NINJAGO(R) MOVIE(TM), this novelty box contains one 48-page ninja training manual, one 48-page mini activity book, and a buildable “Swamp Gear Kai” minifigure. It’s the perfect gift for kids and aspiring ninja everywhere. Buy the The Ultimate Ninja Training Manual (LEGO Ninjago) from Amazon. Previous articleWireless Charger RAVPower Standard QI Charging Pad – Save 74%! Next articleHands Free Dog Leash with Zipper Pouch – ONLY $2.99! !